The Falling and the Rising​ is a new American opera conceived by Sgt. 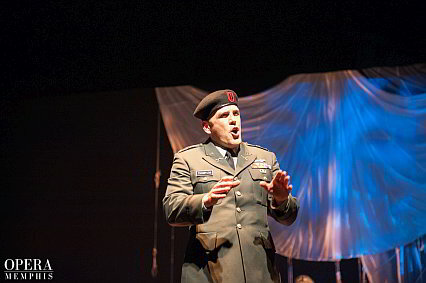 Ben Hilgert of the U.S. Army Field Band and Soldiers’ Chorus, inspired by Opera Memphis’ Ghosts of Crosstown project in 2014. That project sparked his vision of an opera that would capture the indomitable spirit of our U.S. military veterans and shed light on the inspirational power of their often overlooked stories – stories of family, service, and sacrifice in a period of great uncertainty. Words by Jerre Dye. Music by Zachary Redler.